People have lived in the land of Montana for thousands of years. Archeologists call the first people that lived there the Paleo-Indians. By the time the Europeans arrived in the 1700s, Native American tribes lived throughout the state. Some tribes such as the Blackfeet, Shoshone, Crow, and Cheyenne lived in the plains region. They hunted buffalo and lived in temporary homes called tepees. Other tribes such as Kootenai and the Salish lived in the mountains. They lived in more permanent homes and were hunter-gatherers. The first Europeans to venture into Montana were French fur traders in the 1700s. They set up trading posts and traded with the Native Americans for beaver furs. Over the next several years, the land was claimed by both the French and Spanish. In 1803, the United States bought the majority of Montana from the French as part of the Louisiana Purchase. In 1804, American explorers Lewis and Clark traveled through Montana following the Missouri River. They met with the Silish and the Shoshone people along the way. When they returned to the east they told of the beautiful land and the abundance of furs in the Montana region. Soon after, trappers and missionaries from the United States began to move into Montana. In 1846, Fort Benton was established on the Missouri River by the American Fur Trading Company. Many more people came to Montana when gold was discovered in 1858. Boom towns such as Virginia City and Helena sprung up almost overnight. The Bozeman Trail was established as a route for people to take from the Oregon Trail to Virginia City. When the gold rush ended, many people stayed in Montana. Between 1848 and 1864, parts of Montana were included in a number of U.S. territories including the Oregon Territory, Washington Territory, Dakota Territory, and the Idaho Territory (1863). In 1864, the Montana territory was established with its first capital at Bannack. The capital city later moved to Virginia City in 1865 and then to Helena in 1875. As more and more settlers arrived in Montana, the Native Americans were pushed out of their traditional lands. In the 1870s, tribes such as the Arapaho, Cheyenne, and Sioux began to organize and fight back. In 1876, the U.S. Army suffered one of its greatest defeats at the Battle of Little Big Horn. At this battle General George Custer and his men were soundly defeated by Native Americans led by Sitting Bull and Crazy Horse. This battle is sometimes called "Custer's Last Stand." Despite this victory, the Native Americans were eventually defeated. In the 1880s, the railroad arrived in Montana bringing even more growth to the state. Cattle ranching had also become a large industry and farming grew as a result of homesteading in the area. 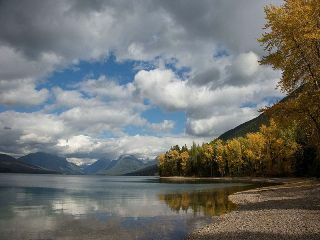 On November 8, 1889, Montana was admitted as the 41st state. 1700s - French fur traders enter the region. 1803 - The United States buys much of Montana from France as part of the Louisiana Purchase. 1804 - Lewis and Clark travel through Montana on their way to the Pacific Ocean. 1841 - St. Mary's Mission is built. 1846 - Fort Benton is established on the Missouri River. 1858 - Gold is discovered at Gold Creek sparking a gold rush in the region. 1863 - Montana becomes part of the Idaho territory. 1864 - The Montana Territory is established. 1864 - The city of Helena is founded. 1872 - Yellowstone National Park is established in southern Montana. 1875 - Helena becomes the capital of the Montana Territory. 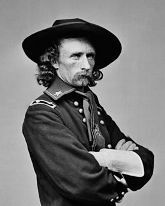 1876 - General George Custer is defeated at the Battle of Little Big Horn. 1877 - Chief Joseph and the Nez Perce are defeated at Bear Paw during their famous retreat to Canada. 1889 - Montana becomes the 41st state. 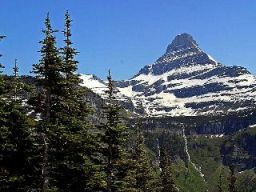 1910 - Glacier National Park is established. 1914 - Women gain the right to vote in Montana. 1916 - Jeannette Rankin is the first woman elected to the U.S. Congress.